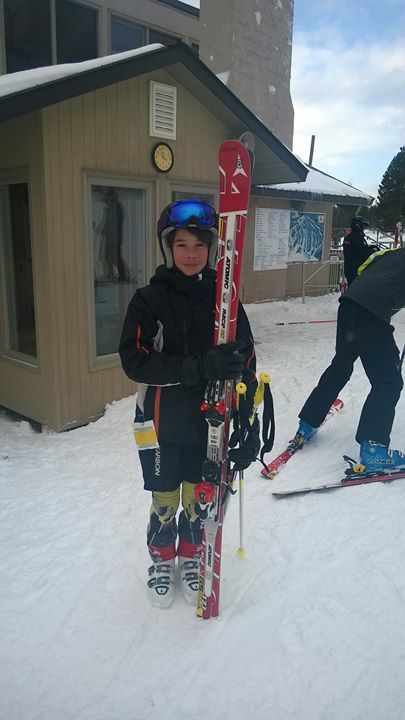 Ski racing is not the easiest of sports to get into as a family. It is very competitive, expensive, time consuming and requires a lot of dedication. It is also a great way to spend the winter as a family. Here's a guide into ski racing, for parents new to ski racing. From selecting equipment and finding a good coach and ski tuning ideas to understanding how coaches put sessions together and how racing courses are set. Is that his happy face, at -25C ? Viewed 638 times ( | Print ) this page.